Sign up now to become a Habitat HopeBuilder—a monthly donor! 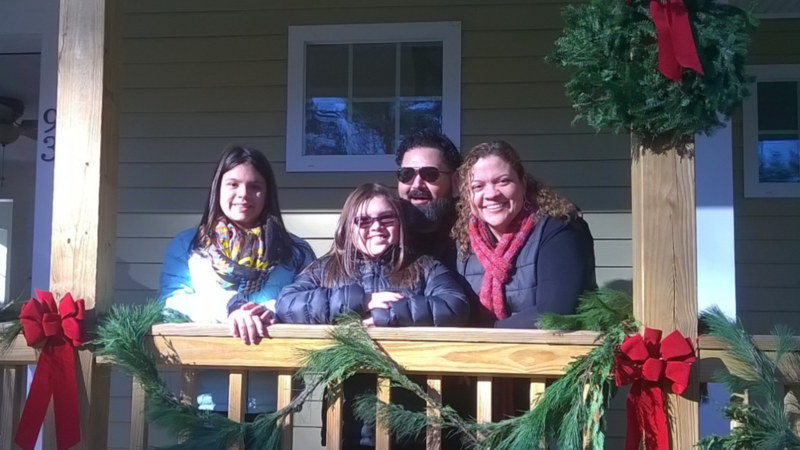 Become a Monthly Donor—and Join Our Habitat for Humanity HopeBuilders! We are genuinely touched by our supporters who believe deeply enough in our mission to give on a regular basis. Together we are building homes, communities, and hope for local families and Veterans! Become a Monthly Donor HopeBuilder today! We have a special group of supporters who believe so deeply in our work that they have decided to become monthly donors. Their recurring contributions mean that our work continues, and more local families can attain a safe, affordable place to call home. We ask you to consider becoming one of these exceptional monthly donors, who we fondly call Habitat for Humanity HopeBuilders. One of the biggest things we depend on as a nonprofit is your consistent support, so that we can continue to help local families and Veterans who need a safe and decent home. By becoming a monthly donor, you are helping us build strength and stability in partnership with local families and Veterans. Go to our simple, secure online Donation Page. Select the bright blue button at the top of the page that reads HopeBuilder Monthly Gift. Select your monthly donation amount. Any amount will help local families and Veterans to live in a safe and affordable home! Provide the remainder of the required information. Need help or have additional questions? We’re here to help. Call us at 508-799-9259 ext. 111. We are so grateful for your support and partnership! Building affordable homes in safer communities to help local families and Veterans benefits us all.